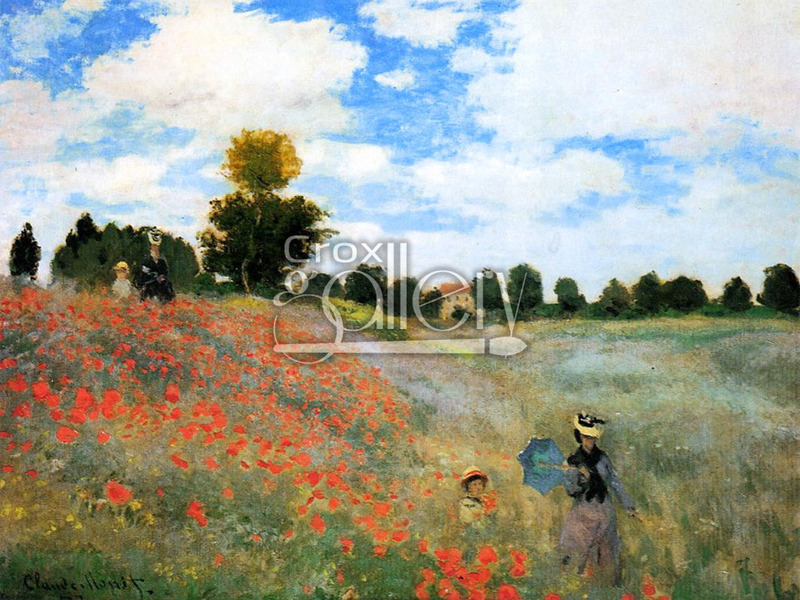 "Poppy Fields" by Monet, Museum Painting Reproduction. Painted in 1873, oil on canvas, 25.59 x 19.69 in. 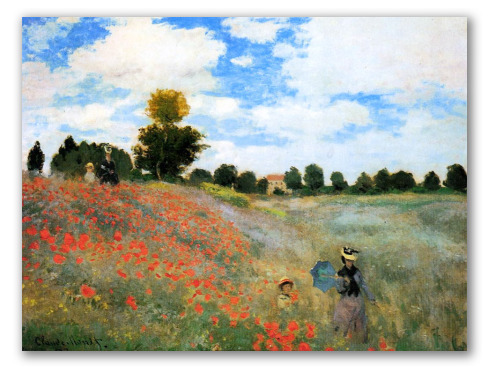 This painting is currently displayed at the Musée d’Orsay, Paris. Original size: 65 x 50 cm.